Today is Thursday and it is a special one since this day is marked for guests at Kiri’s blog. However, this Thursday is very special for me since I have the opportunity to be in the company of fabulous guest bloggers who, in the past, have shared their recipes on Kiri’s lovely blog on food and travel – healthyfoodietravels. And, also, this Thursday happens to be my first blog-anniversary! I spent two days obsessed with the thought of the guest post! When I told hubby about the dish dilemma, he suggested why not a guest post on the skewered Chilli Garlic Prawns that I had made a few weeks ago. 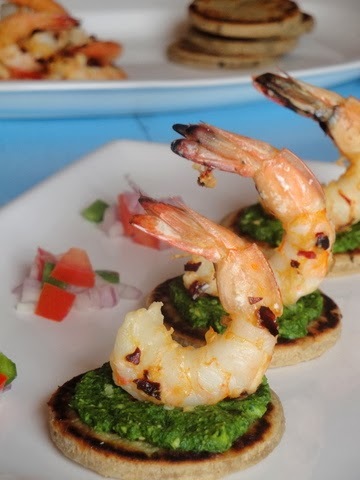 I had made prawns and served them with green chutney. I had received encouraging remarks from him and my daughter (her approval is my yardstick to measure the success of my experiments in the kitchenJ). The idea of serving it with Bhakri came from a food magazine. However, I have made a few changes in the recipe. I have reduced the amount of ghee i.e. clarified butter (available in Indian & middle eastern grocery shop) and I added a little bit of sweetness to the bread which pairs very well with the spiciness of the chutney. What I love most about this dish is the rustic edge lent by the Bhakri and the richness it brings to the simplicity of the prawns. I hope you will enjoy this simple dish as much as my family did. Wash the coriander and mint well and grind them along with the other ingredients in a mixer until smooth. If you are unable to achieve the smooth texture, add just a little bit of olive oil and water. Wash the prawns and drain water. Sprinkle salt and 1 tbsp lemon juice over prawns and let them sit for 3-4 minutes. Wash the prawns again and drain excess water. Mix together the ingredients for the marination and add to the prawns. Marinate for half an hour. For Bhakri, mix the cumin seeds, ghee, salt and sugar to the flour. Add clarified butter and mix the flour with your hands till a crumb like consistency is achieved and the dough starts coming together when you press it in your fist. Add water gradually and starts kneading until the dough is rollable. The dough must be firm and NOT hard. Keep it aside for 10-15 minutes. Roll the dough into thick chapati and cut out 2 inch discs out of the chapati. Shallow fry them on a medium low flame on a griddle. Press them using little pressure to make them crisp. 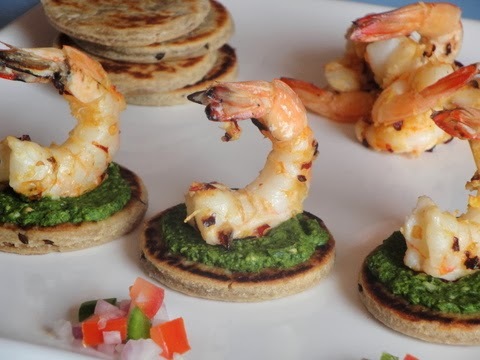 To serve, put a little chutney on the Bhakri and place a prawn on it. Garnish and serve. Note: The grilling or roasting time of prawns will depend on the size of the prawns. Note: Do not reduce the amount of the ghee or else you will be compromising on the taste of the Bhakri. Note: I used minimalist amount of ghee to shallow fry the Bhakris. You can brush them with ghee before putting them on a griddle. Note: The Bhakri can be prepared in advance and warmed before serving. Before I sign off with my blog-anniversary post, I wish to thank you all – my blogger friends/ followers/ readers and visitors for your immense support and love. 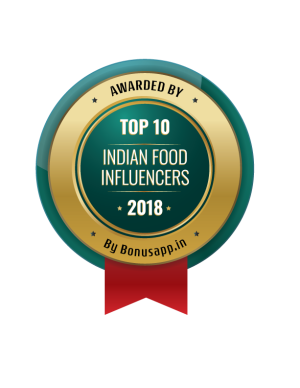 You can’t imagine how much it means to me…When I was taking baby steps in the blogging world, I had not imagined that I would have the support of such a wonderful blogging community J I am actually overwhelmed…THANK YOU so much EVERYONE!! 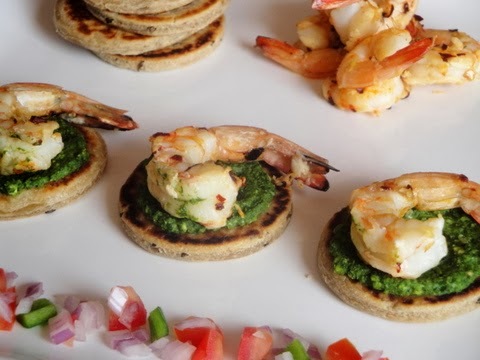 Nice presentation, I don’t eat prawns but love the idea of the bhakri..
wow wt a beauty…luks so tempting…congrats dear!!! Happy anniversary! 🙂 I am thrilled to be hosting you, thank you so much! Congratulations on your first anniversary, girl!!! Happy first blog-anniversary! This is a truly beautiful dish, looks delicious. These are beautiful. 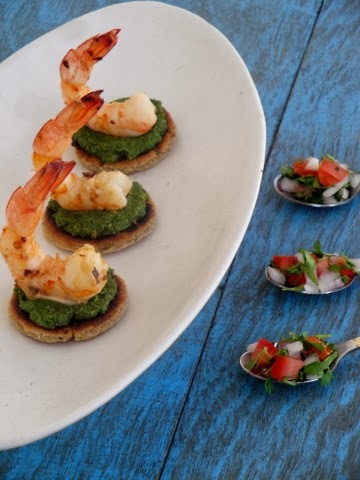 I love how you have the prawns setting on flatbread covered with what I’m guessing is pesto. What a lovely presentation. I’ll have to remember that next time I have company over. Thank you for sharing. Congrats on your first blogoversary! Looks amazing with the wonderful click!! I’m sure it’ll taste great too! super tempting clicks n great appetizer! happy blog anniversary 🙂 Wish you many many more years of blogging! Love this snack bite and I love shrimp any time. 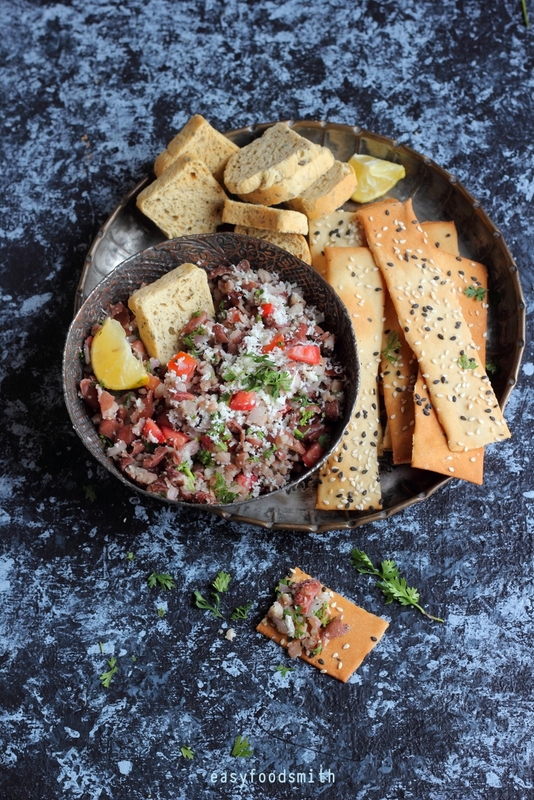 Lovely recipe and blog, nice to meet you from Kiri’s fan club :). I enjoyed reading your introduction about yourself. By the way blogging is perfect for the introverted person. Looks like your blog is a success and Happy 1 year! That is superb presentation.. how you made those prawns stand on the chutney. Happy Anniversary. Congrats on your first blog anniversary! Wishing you many more! Beautiful presentation, really scrumptious. Tempting finger food! Very nice. Happy Blogging Aniversary! this dish is beautiful & delicious! congrats on your 1st Blog-anniversary! Very beautiful presentation of pictures, Taruna! Congratulations on your blog anniversary dear. Happy Blog Anniversary! What a great year you’ve had! I look forward to enjoying more of your post and food in 2012! Kari, your grilled shrimp recipe looks very, very tasty! Love your photographs! These are for sure some great party finger food. Happy Blog anniversary to you!! 🙂 (((HUGS))) Your pictures have me getting hungry sitting here. Lovely! Happy Blog Anniversary!! I love prawns and your pictures and presentation is just stunning. Happy blogiversary!! I love this recipe and your pictures are beautiful! I actually saw this over at Kiri’s blog first and decided to hop over to yours to leave my comment! I can’t wait to have a party and try these gorgeous appetizers…they would be fabulous with a glass of champagne!! Congrats on you 1st blogoversary.It is a time to celebrate with grilled prawns and Bhakri.I had some issues accessing my account on Thursday but I did check your post next day on kiri’s. It looks wonderful. Awesome recipe with nice clicks,looks so yummy. Happy blogiversary. Great post. I love shrimp! I love the presentation of these- just lovely! Happy blog anniversary! !Such a fun presentation! Happy Blogiversary! I saw these on Kiri’s blog and I love them! Your presentation is perfect too! Congrats on the anniversary!! This looks to die for! I just love garlic and chilis together!! happy blogiversary – what a great milestone! happy blog anniversary !wow…the chili garlic prawns looks absolutely yum ! wonderful presentation n beautiful clicks ….drooling here ! Sorry I’m late! Better late than never, right??? Happy anniversary! Food blogging is truly a labor of love, isn’t it? Love the shrimp. Can’t wait to check it out.